The vision for Grand Central Park is unlike any other community because Grand Central Park is not like any other community. Amenities centered on nature are accessible now, and much of residents’ lifestyle involves the authentic hiking trails, expansive natural lakes and wooded serenity of this 2,046-acre development. The first part of the master plan’s retail component also is in place, offering residents easy access to everyday conveniences. But there’s more planned for Grand Central Park. Our location along Interstate 45 (which means there is no commute for you to start your commute to work) is the foundation for vibrant mixed-use development that can include office space, retail centers, campus facilities, corporate headquarters and more. 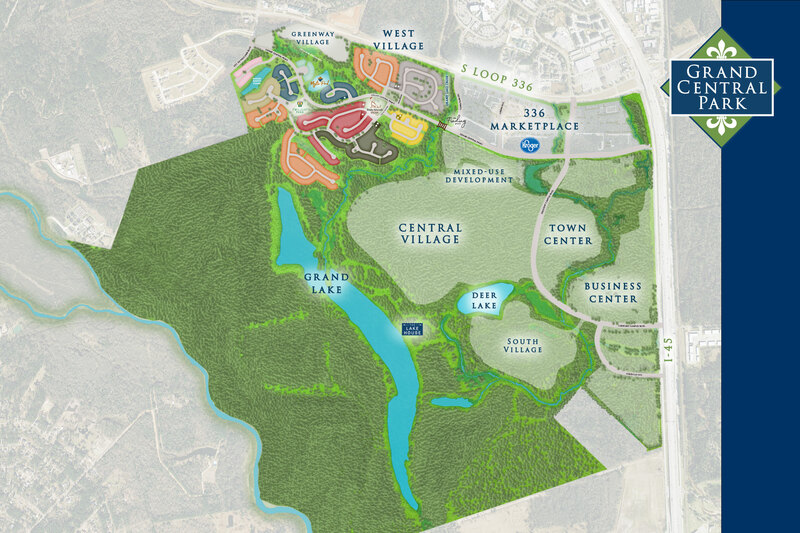 Learn more about Grand Central Park’s location in the city of Conroe and the surrounding area or click here to view the West Village map.